Oh. Ahem. Hello there! My name is Allison Wonderland, and I just know we’ll be friends! I’m new here to Moonlight Falls. The kitties and I arrived last night with just the clothes on our backs. Well, that and a nice inheritance from my late grandfather that bought us the most adorable little cottage to live in. I had to bring my kitties with me. They’re more are more my family than my real family ever was. There’s Cheshire. Cheshire is super-smart. Cats are just way smarter than anyone gives them credit for. Well, except me. I know what cats are like. Sometimes I think I’m part cat myself. I can always depend on Cheshire. I don’t know what I’d do without him. And there’s nothing he wouldn’t do for me. No kitty treats for you tonight! A little snippy today, aren’t we? You just have to put up with the temperamental geniuses. Don’t think he was actually angry with me or anything. 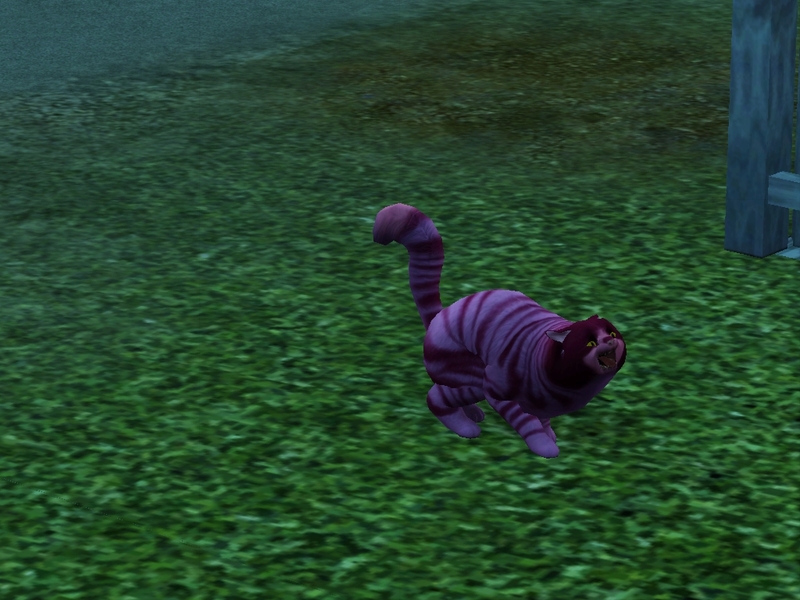 Cheshire worships the ground I walk on. Then there’s Dinah. She’s the sweetest kitten there ever was, and she doesn’t have a mean bone in her body. Isn’t she a little cutesy-wootsey little kitty-witty? I always used to wonder what I would be when I grew up, and now I’m all grown up and should pick something. One thing I really, really like is fire. So I think I’m going to be a firefighter! They spend a lot of time around fire. 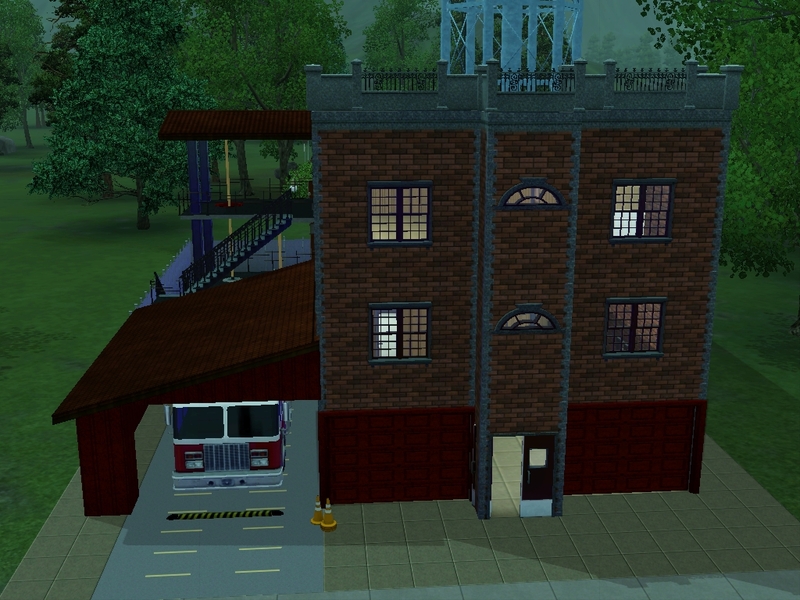 Once I got the kitties settled, I headed over to the local fire station to enlist. You don’t enlist in the fire department? Well, I’m sure you can do something to get a job. It’s a nice place, I think! But nobody was there. I hope there weren’t any fires in Moonlight Falls today. Clearly they need more firefighters, so I figured nobody would mind if I just took a couple of uniforms out of the closet and showed up for work tomorrow. Hello, and welcome to the Wonderland Weirdacy. This is a Sims 3 “I’m Surrounded by Idiots” challenge. The theme, as you can probably guess, is Alice in Wonderland, though themes usually don’t last long in legacies. This legacy is intended to be pretty much the opposite of my high-effort, heavy-plot, micromanaged Pinstar Legacy, which you can find over at Sample a Brave Legacy. 2. Fancy photography. Thought balloons, relationship icons, and plumbobs are your friends! 3. Logical character behavior. If everyone is Insane, then illogic is the rule of the day anyway. 1. 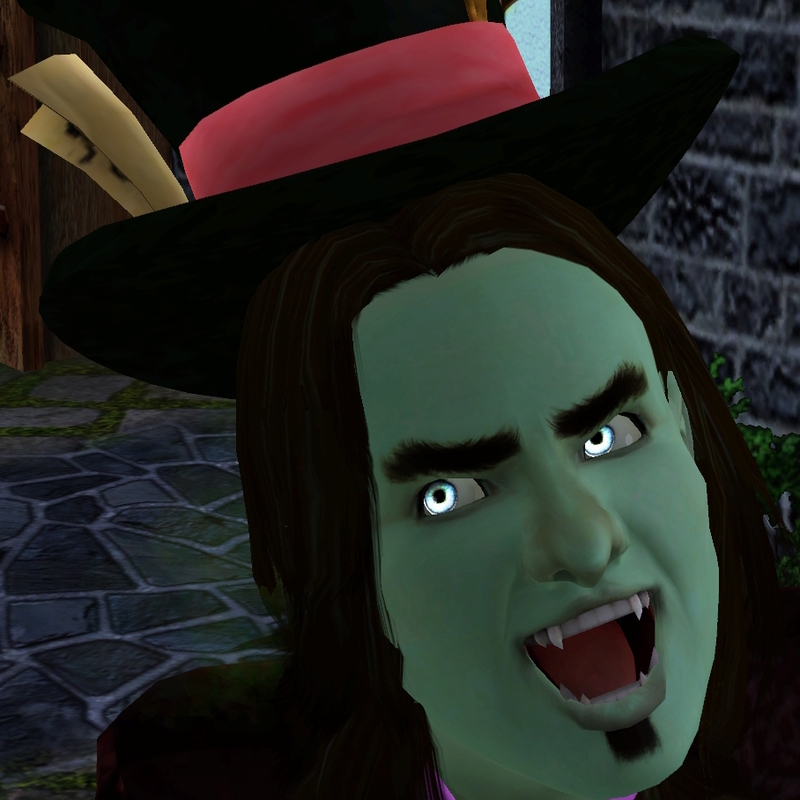 Combine a bunch of different supernatural species in one genetic line, using Twallan’s Hybrid mod to express them all. 2. Stuff my game full of as many autonomy mods as I can find. 3. Get to 5 generations. I haven’t decided which flavor of ISBI rules to use. There are several rule tweaks out there, and I intend to add a couple of house rules myself. All of this will be on the About page for this blog when I finish it. Since there aren’t many names to pull out of the Alice books, I’m going to go with the “Allison” gag and continue to name children with names that sound like they end with “in,” “at,” “of,” “on,” etc. Feel free to suggest some names on the Name Suggestions page! Actually as for the photography I think it's cute to have thought bubbles and plumbobs, I mean it's the sims! 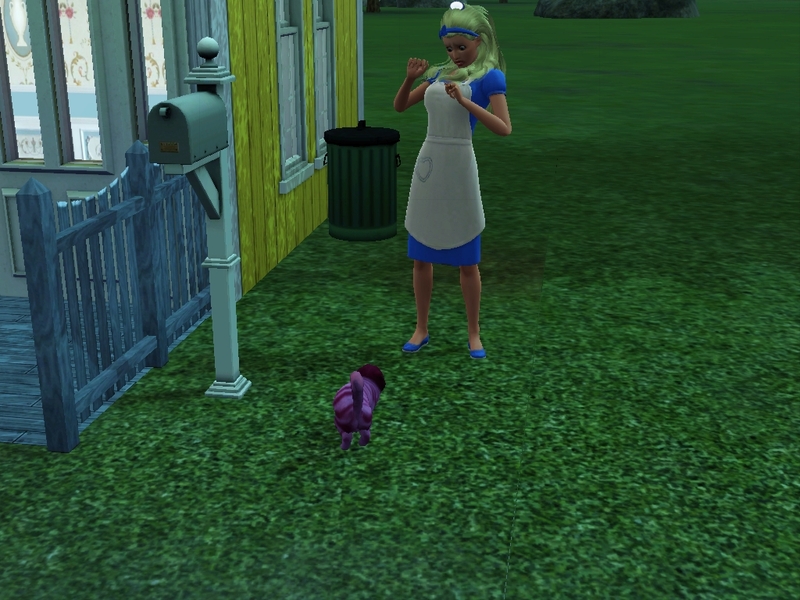 Those are some of the stuff I love best about sims. Fun! 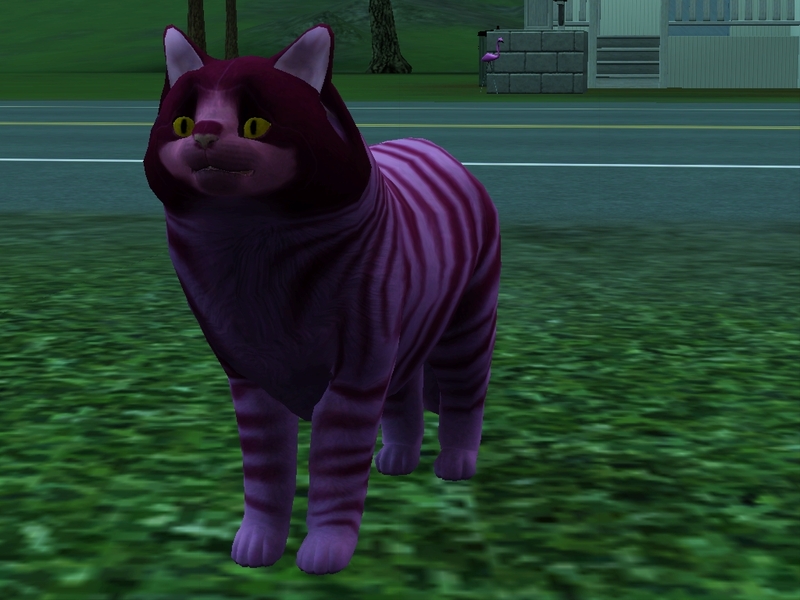 I love Allison already and Cheshire is entertaining. No plot and a bunch of crazies sounds like a good time to me! I'm already really enjoying this family, in part because it's so small and nonthreatening, and in part because of the totally different style. A couple more posts should follow shortly. Heh. I guess I got pulled in to the fantastic suspension-of-disbelief "photograhy" I saw in other blogs. However, I intentionally don't use poses, and if you want to create a simblog with really high production value, that's the way to do it. I'm already having fun not worrying about where anything is going :). Ahh, this is awesome!! I love Allison's little house…-I- want to live in that little house. I guess I should probably have mentioned that I'm not doing the enormous empty lot thing, which I think is terribly overdone, but I am sticking to starting funds. I wanted to try out actually playing in a 10×10 microlot. I have to say that it's a mixed bag. The house is adorable and well-laid-out, but there's no place to put the cats' stuff, and it appears that cats can't climb spiral staircases? 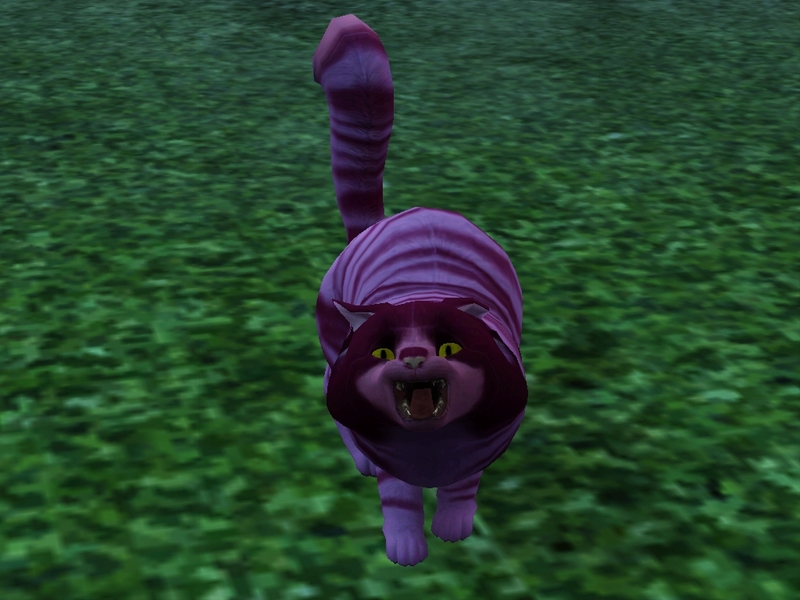 Cheshire actually had Allison pick him up to take him to the upstairs litter box. 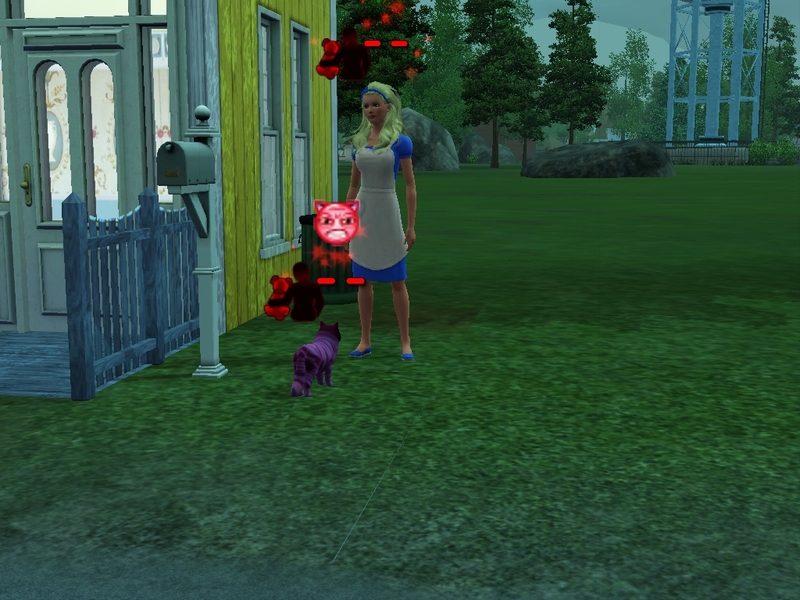 I didn't know that cats could initiate actions that compelled a sim to carry them up the stairs. I forgot to mention how cute their house is. I hope we get to see the inside soon! Yay, this looks like fun! I totally support a no-plot story (at least not one that's fully thought out). I learned that its just pressure to get the game to fit into what you wanted your plot to be. Haha. So this will be fun to read!! Ooooh! This looks like so much fun 🙂 I love ISBIs and I love Allison, she seems so vibrant. Can you tell me how you created Dinah? 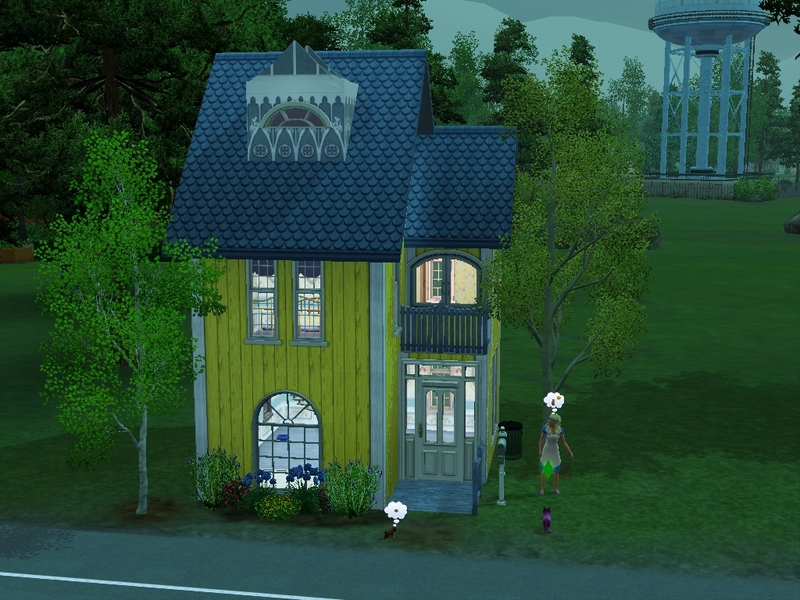 Just a quick little comment before I continue – I adore the little house, it's so cute! Well, I've finally made my way over here. 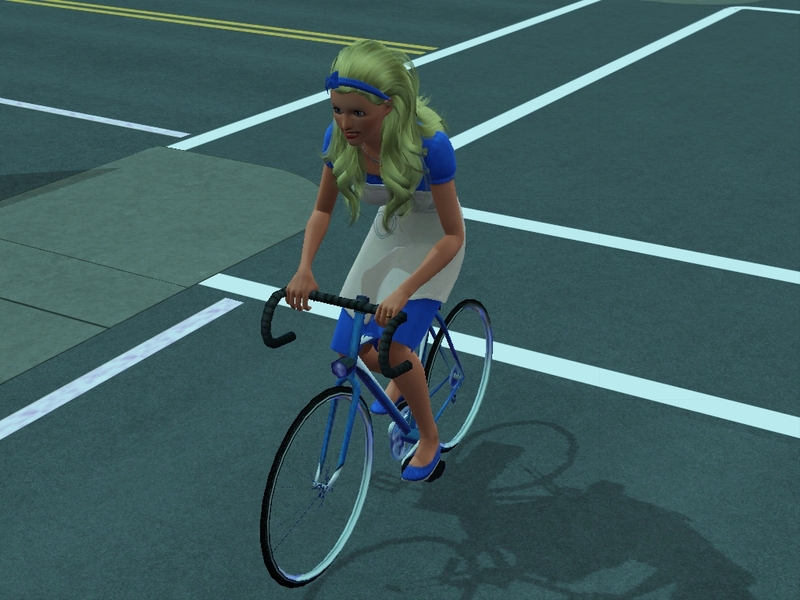 Allison is a very pretty sim, and I can tell it's gonna be fun keeping up with her. An insane firefighter, hmmm. And I like the kitties very much! I'm glad you appreciate it! After I got into the rhythm, this has been a huge amount of fun. 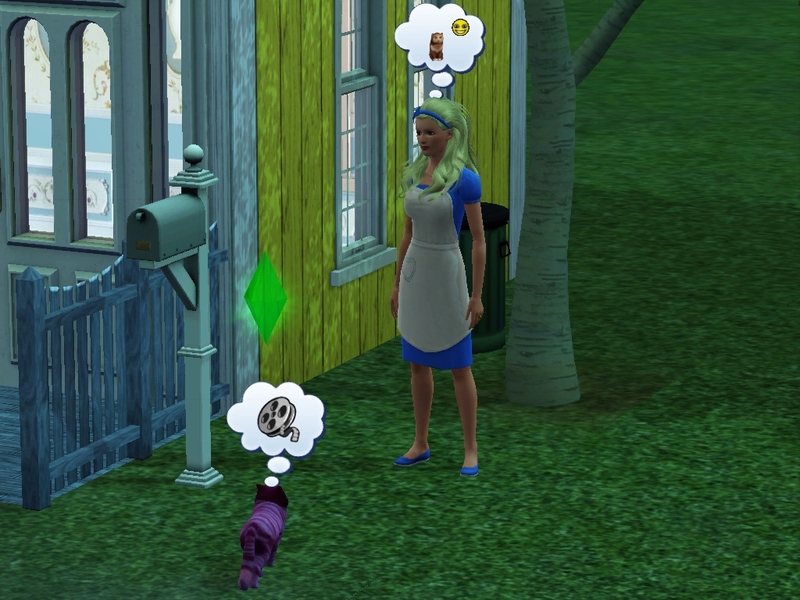 Though Allison barely get to spend time with her kitties because she spends all her time keeping the household from falling apart. Luckily the idiots play with them a lot. This sounds like a really fun challenge to do, and it's great that you are keeping the pressure off yourself. ISBIs are a great idea anyway… let them be sims and see what happens. 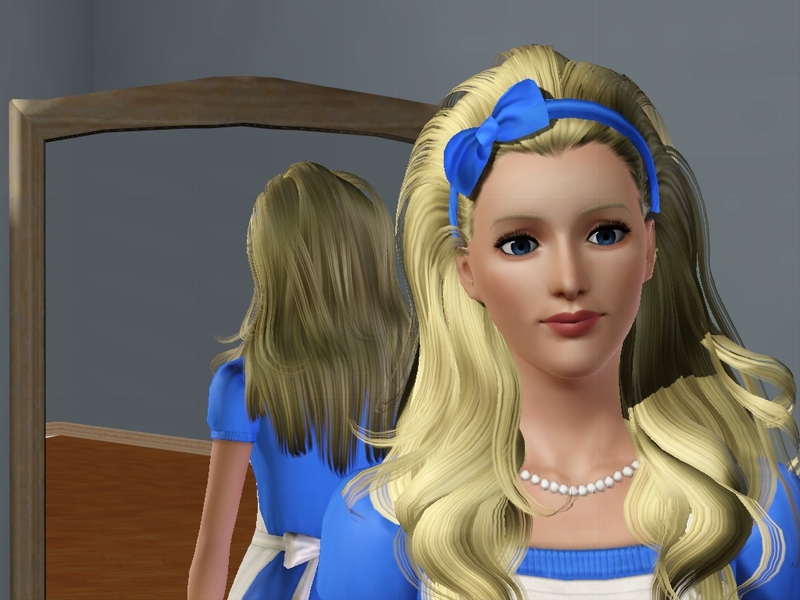 Alice in Wonderland is a great theme for this, even if it doesn't last long. So Alice, in her prim blue dress, becoming a fire fighter, very funny. What a fun founder! Allison Wonderland, so clever! Hihi! Thanks so much for coming over to read! I enjoy the Zales so much. Allison is so pretty! And I love reading ISBI’s, I’m very excited to see that you have one! I will definitely be keeping up with this, I just need to catch up first! On both of your legacies. But that’s no problem because they’re amazing to read! Hello! So good to see you here! I love this challenge. I just plop a bunch of pictures into a post and write the first thing that comes to mind, and it makes me laugh at least :). Thank you for coming over to read. There’s not so much of this one as there is of the Samples, and it’s pretty much the opposite of deep. I’m hoping to get the Generation 3 heir poll up this week. 40yo software codeslinger and mother of a preschooler. (Guess which is more challenging.) I played The Sims and Sims 2 passionately for three weeks each. 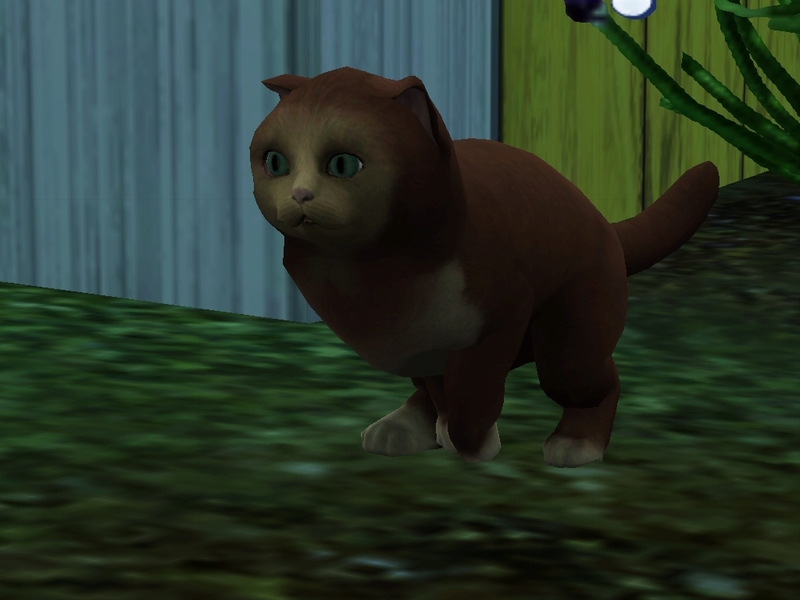 Then I hit my stride with Sims 3 and have never pulled my life back from its greedy clutches. Ask me Sims tech support questions, I dare ya.